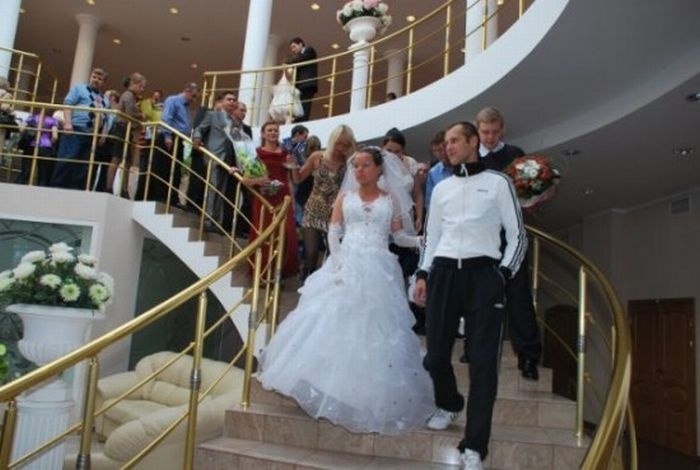 Are some Russian people so into sports that they even can go to their own wedding dressed into brand new adidas sports suite? Yes and no! 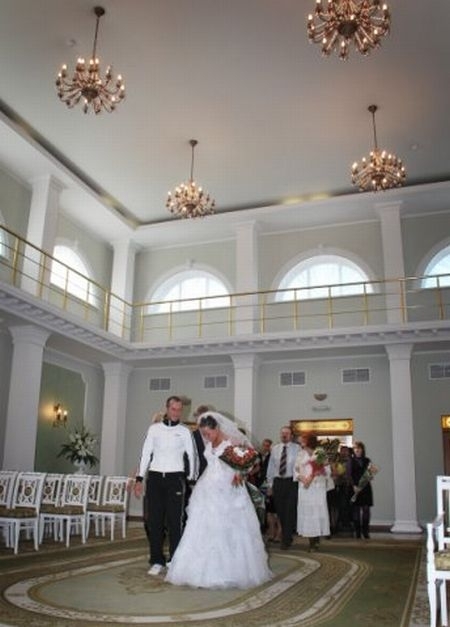 It is not hundred percent clear what was the reason for the groom to do this but there are strong grounds to suspect that this was a specific Russian joke, based on the habit of many representatives of Russian street culture to wear Adidas sports as top cloths choice. 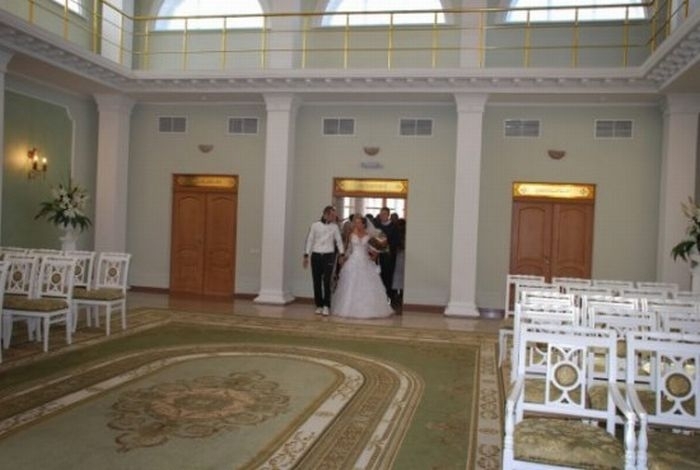 Anyways, this Russian bride looks to be shy of this choice. This bride is ugly, Jewish girls are the best. Jew girls are only good at work at my summer camp in Gulag. Darling, I love so much your beautiful sports wear, let’s get married. The bride is probably happy that he has at least wore clean clothes to the wedding! Lifetime? Likely the marriage will not last more than a few months. In every Russian wedding I have ever been to, that moment when the groom signs the register is what I like to call the ‘game over’ moment. Invariably the groom always has that ‘deer in the headlights’ look about him. Doesn’t matter what country really, weddings are and always have been all about the bride. The groom is there simply to fill a role… and pay for it of course. Now you should keep them in a good mood and always put the toilet seat down or they will be mad at you for the rest of the day! !When their hands go on their hips and they tilt their head to the side and sigh that means you did something wrong.What that something is is a mystery most of the time because men are not mind readers!!!!!! hmmm… the bride is definately pregos, in her dream world of wedding bliss! And the groom comes to the wedding already dress to run. He looks like a welfare chav from the UK. This is not a joke, that’s what they’re really like. nice super article with very cute wedding photos,thank you so much for posting.